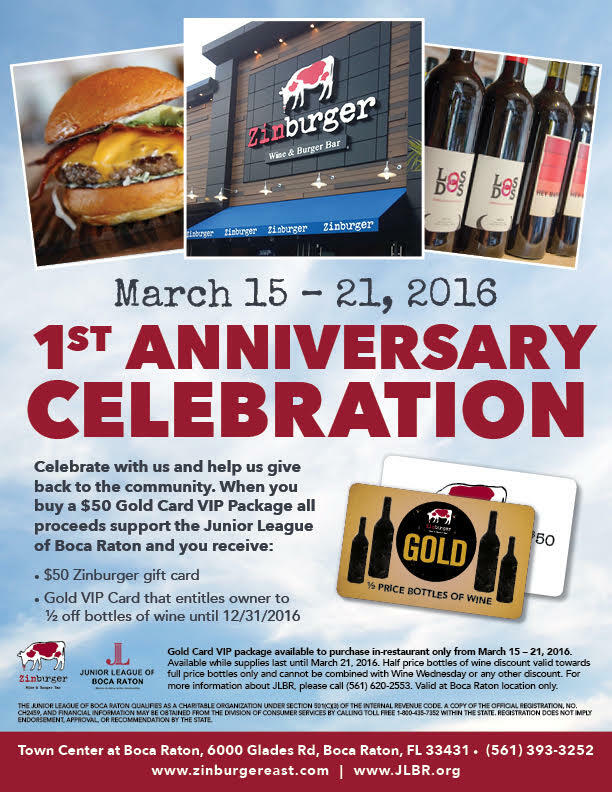 Zinburger is supporting the JLBR as part of their one year anniversary! From March 15th – 21st, Zinburger is donating $50 to the Junior League of Boca Raton for each patron that purchases a $50 VIP Gold Package, which includes a $50 Zinburger gift card AND 1/2 off bottles of wine through December 31, 2016. VIP Gold Packages are available for purchase in-restaurant only and only while supplies last. Hurry in and let the anniversary celebration begin!